Updating a post I had written 2 years ago. Still relevant. Today marks the 9th year since the Southern part of Haiti was shook by a devastating 7.0M earthquake. 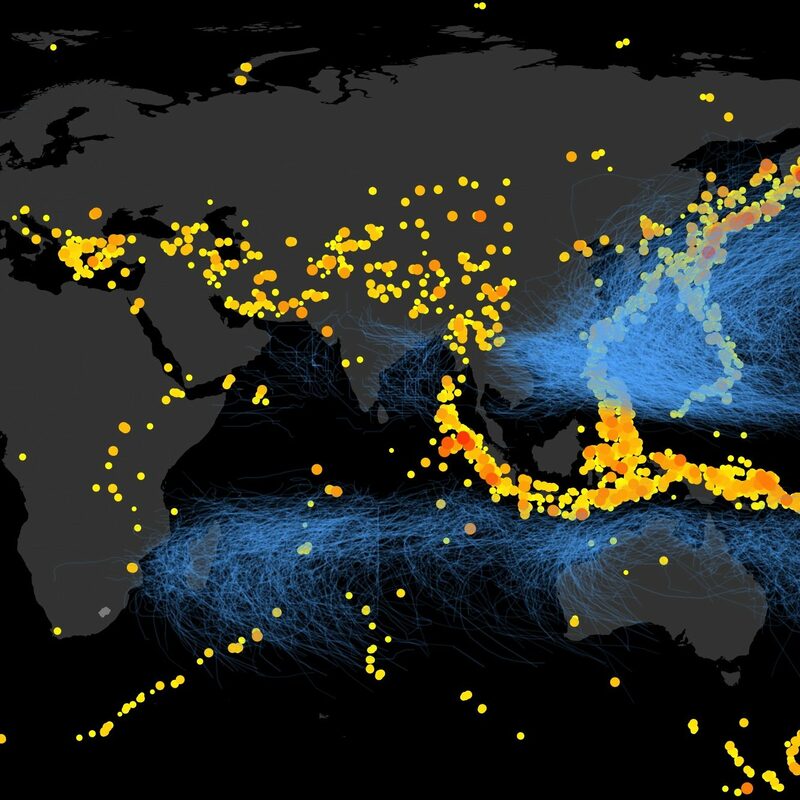 The earthquake claimed tens of thousands of lives (estimates range from 100,000-316,000), rendered millions homeless and threw the country in tremendous chaos. I remember exactly where I was when I first heard about the earthquake in Haiti. I was in Berkeley, walking to my favorite coffee-shop while reading the news on my phone. Like many others, I was shocked by the preliminary reports and images of the damage. Having just finished a masters degree in earthquake engineering from UC Berkeley, I tried to see (naively at first) how I could help. I ended up working and living in Haiti for nearly two years, an experience which has shaped my life in numerous ways. As anniversaries often do, it is an opportunity for me to look back at that experience and think about my friends in Haiti and the Haitian people in general. 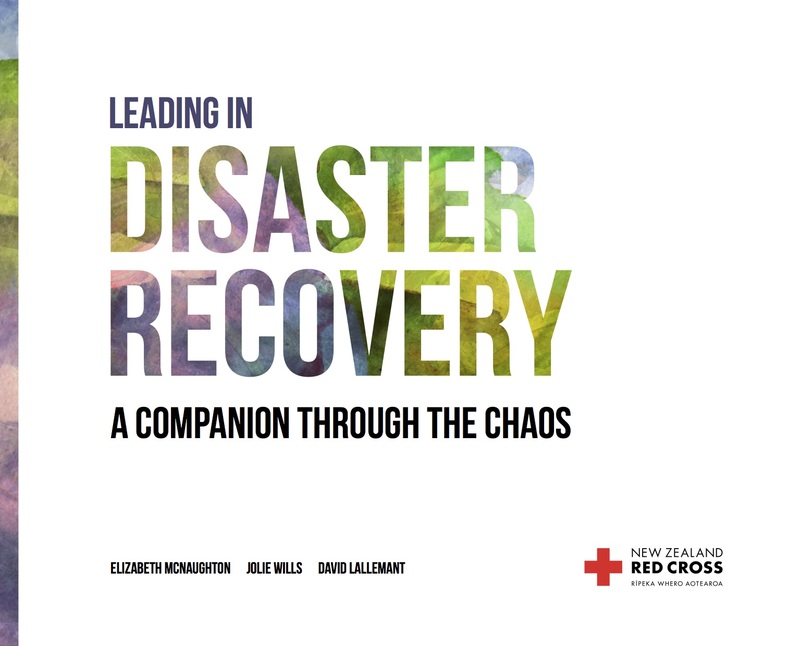 I am worried about the earthquake vulnerability that they continue to live with. While we remember the earthquake of 2010, it is also important to remember that the earthquake threat of the region is still looming. A while back I conducted some preliminary research on the remaining earthquake risk of the Port-au-Prince area. While initial reports purported that the 2010 event was caused by the rupture of a segment of the Enriquillo Plaintain Garden Fault (EPGF), numerous subsequent studies have showed that the earthquake originated on a previously unmapped fault (Calais et al., 2010; Hayes et al., 2010; Hashimoto et al., 2011; Mercier de Lépinay et al., 2011; Symithe et al., 2013). The implications are important, as it means that the “expected” rupture of the segment of the EPGF running along the entire southern outskirts of Port-au-Prince is still expected. This is an alarming counter-argument to the general belief that the region can confidently look forward to a period of earthquake tranquility in the coming decades. Estimated ground-motion shaking intensity caused by the 2010 earthquake. Difference between the two rupture scenarios. 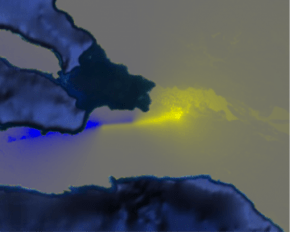 Yellow in the Port-au-Prince region indicates higher predicted shaking in the EPGF scenario then the 2010 earthquake. I further developed a scenario model of the impact of such an “expected” earthquake. 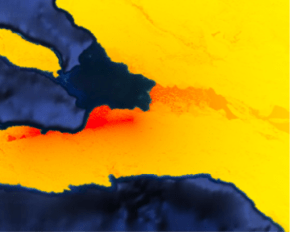 A 7.0M earthquake rupture of the EPGF along the southern edge of the “Cul-de-Sac” basin on Port-au-Prince would result in twice the number of building collapse as the 2010 earthquake. Spatial distribution of buildings collapsed from (a) the actual 2010 earthquake, (b) predicted based on the EPGF rupture scenario. (c) Probability distribution of number of buildings collapsed from the EPGF rupture scenario (mean = 63,000 buildings), compared with the actual 2010 earthquake (31,000 buildings). Further details on this study can be found in my other post here. Results from a recent study by Symithe and Calais (2016) cause further alarm. Their study suggests that the fault mechanism for this segment has been incorrectly assumed as a purely strike-slip mechanism. Their new model indicates that ground-motions generated from this segment could be twice as large as previously assumed based on a strike-slip-only model. It is important that such research influences policies in Haiti. 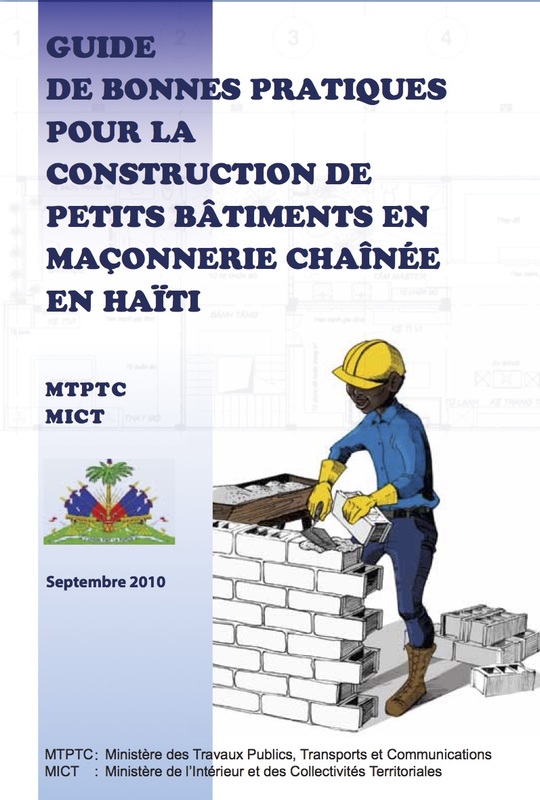 Building earthquake resilient homes is not unattainable, even in Haiti’s socio-economic context. Following simple guidelines for earthquake resistant construction (such as these) incurs very little additional costs, while decreasing the likelihood of building collapse by orders of magnitude. 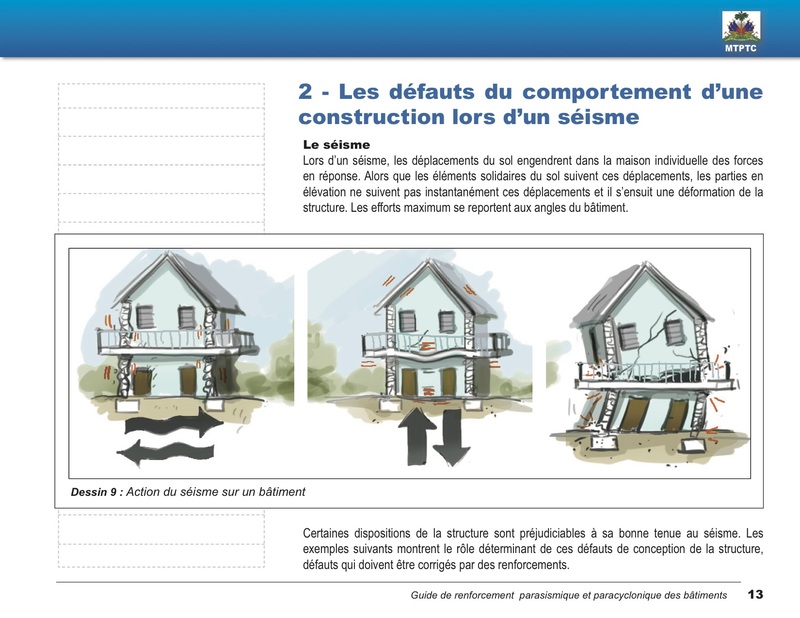 Strict enforcement of formal building codes is likely unrealistic in Haiti, but mass communications of simple construction guidelines is very possible and could have tremendous impact on reducing seismic risk in Port-au-Prince and across the country. The Haitian mass communication machinery is truly incredible. It has the amazing ability to canvas every vertical surface with political slogans and candidate profiles during elections, to hang team flags and organize public screenings in every public square for the World Cup, to develop radio programs that reach even the most remote parts of the island. This same machinery could be leveraged to launch a massive seismic resilience communication campaign, and do so at little cost. I truly hope that more attention is placed on the seismic risk of Haiti and the region in general. 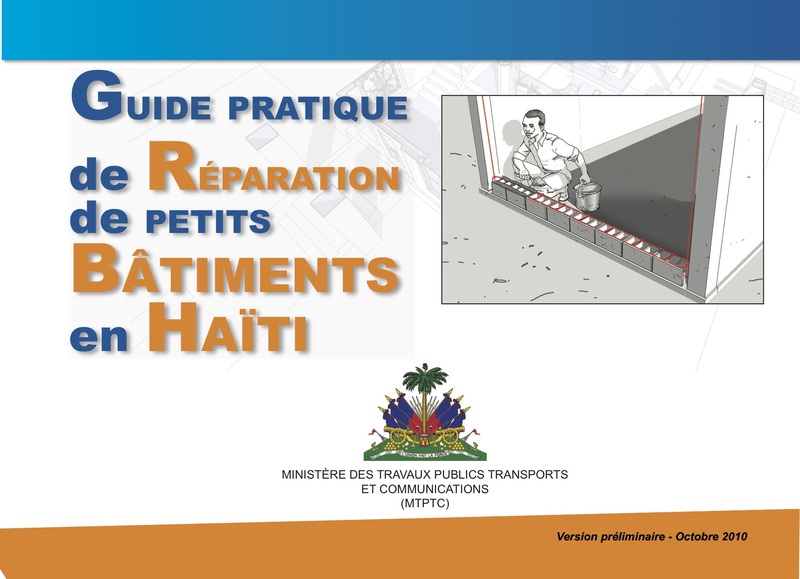 The devastation caused by the 2010 earthquake gives us a very clear idea of what could still happen if one of Haiti’s numerous faults were to rupture, unless serious effort is made to ensure that buildings in Haiti are better designed and constructed.